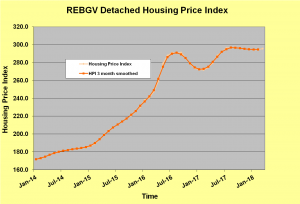 Here is a link to the complete set of charts and graphs – it may be useful to refer to them as you read through this piece! 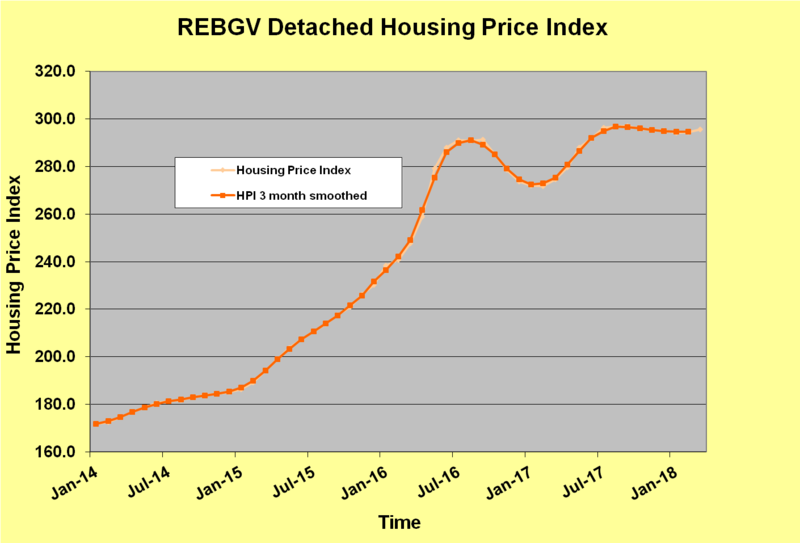 March sales across the REBGV were 23% below the 10 year average but low listing inventories have kept sales levels fairly level. 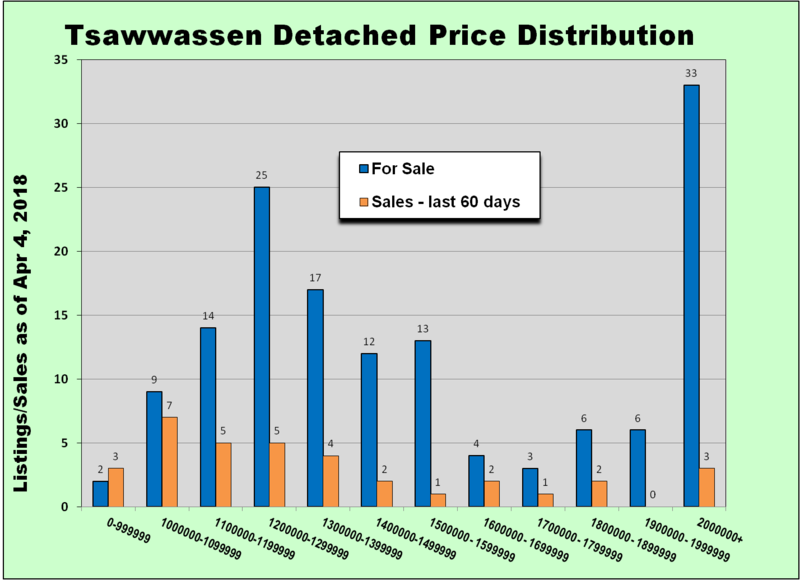 Detached sales are down with the upper end of the market $2m+ most noticeably affected. 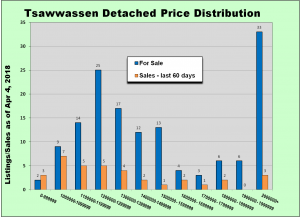 The sales to new listings ratio of 40% is low compared to the frenzied years of 2015 & 2016 but not too dissimilar from many other years in the past 10 when the ratio was often in the mid to upper 40s. 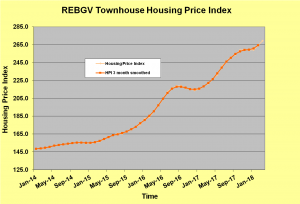 Townhouse sales were also down compared to the past 3 years but still above the levels of 2013 & 2014. However active listings levels are only around 50% of what they were 4 and 5 years ago. 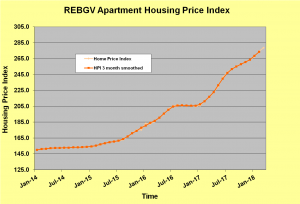 Apartment sales were down from the last 3 years as well, one may conjecture likely due to tighter mortgage qualifying requirements as well as uncertainty in the market. However supply remains historically low and very similar to last year. 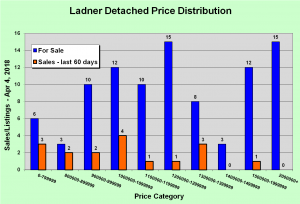 Detached prices are basically level, having varied less than 0.1% in the past 9 months. 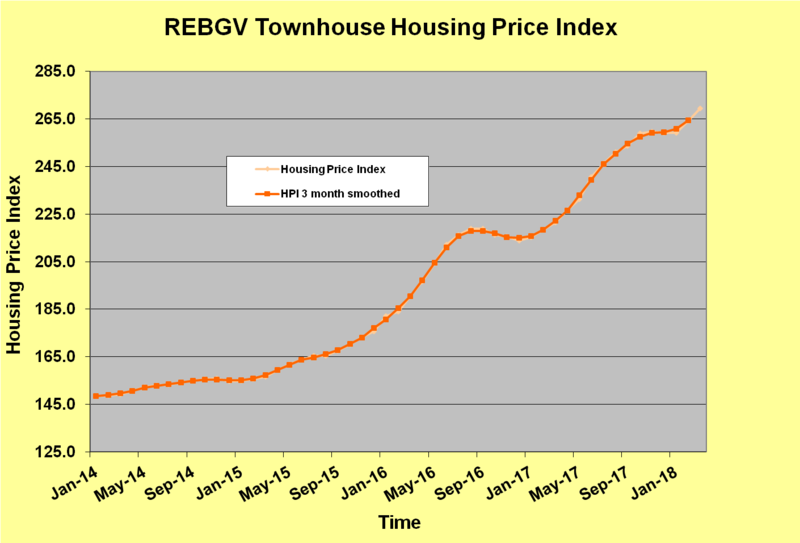 Townhouse prices continue to rise, up 3.9% since the beginning of the year and all of that attributed to the past 2 months. 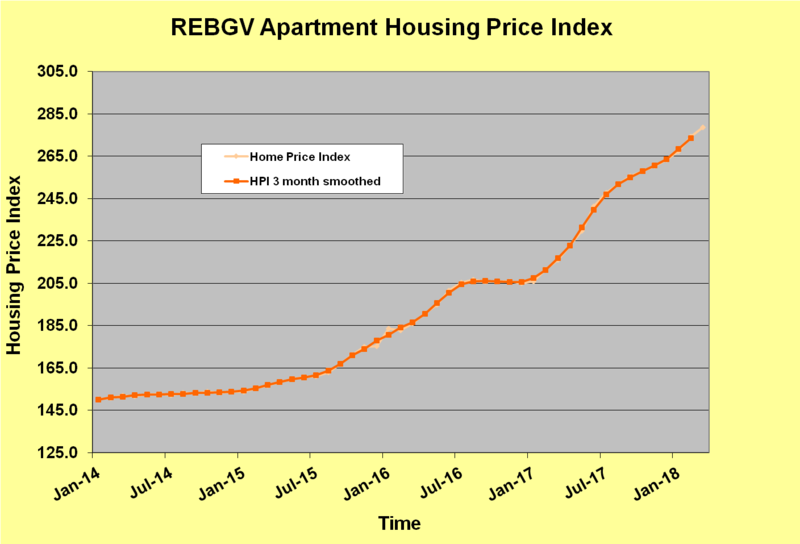 Apartment prices have continued to increase on a fairly steady trajectory since July 2017 at an annualized rate of about 19%. 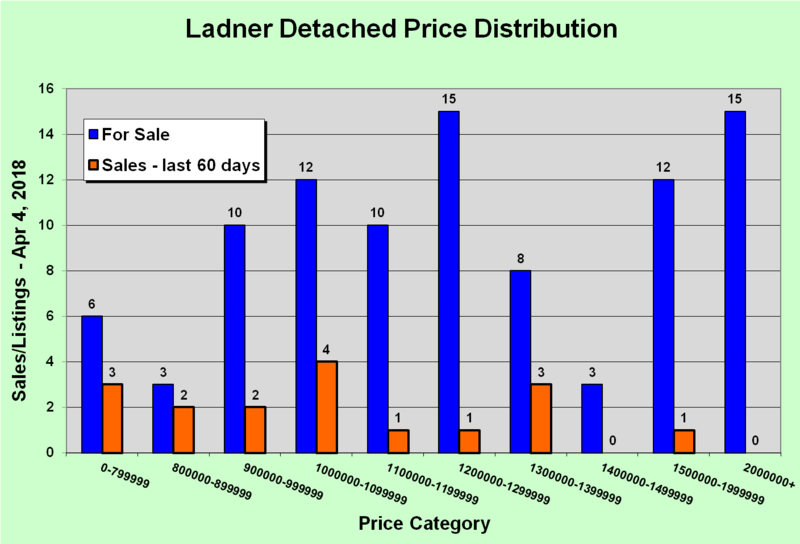 The graphs below show the most active ranges in our detached market. The current ‘level’ provides a ‘low stress’ time to make a move.